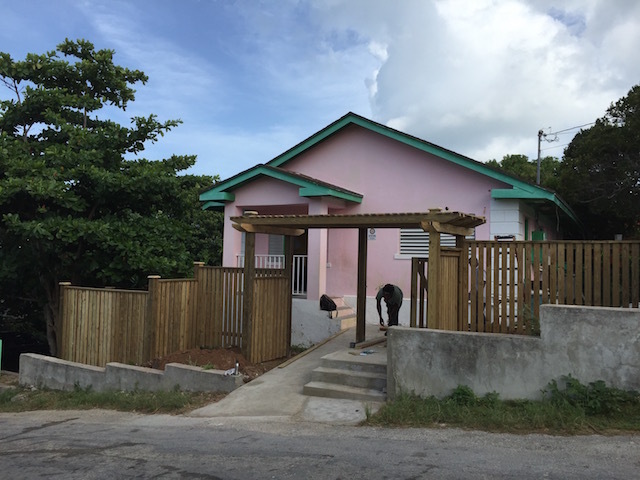 This week we have been working hard to give a face lift to the Center for Exceptional Learners here in Governors Harbour. 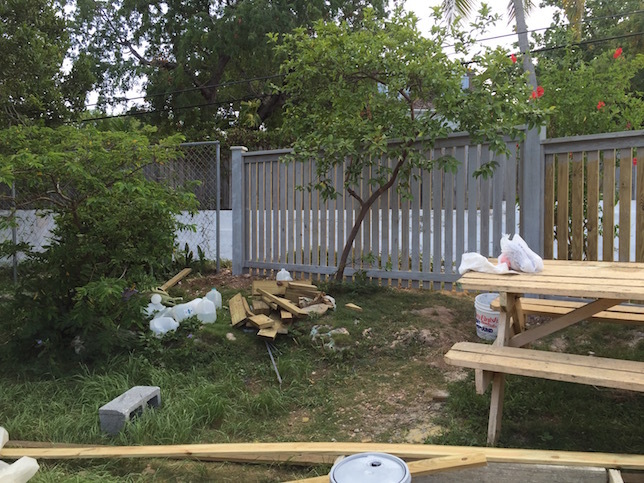 Thanks to a very generous donation from Mr Simon Hitchins – based in Monaco – but a regular visitor to Eleuthera – the school is getting a revamp of the exterior. 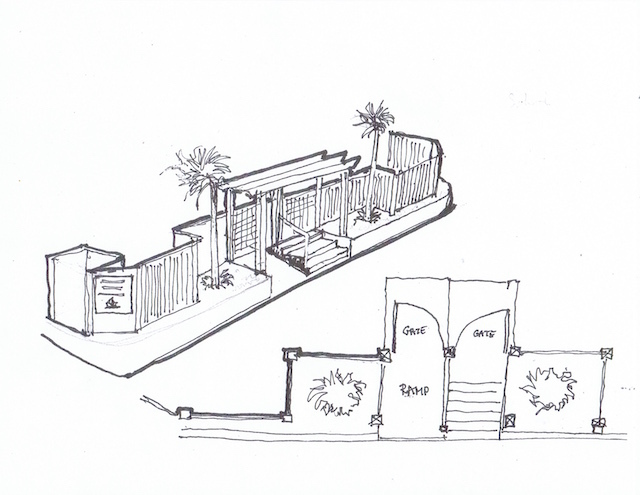 Simon’s vision was to make the school stand out more and to be more visually appealing. He feels that it is very important to the morale of everyone at the school – teachers and pupils alike – that they feel lifted by the experience of seeing the school every day – how much nicer to arrive at an attractive place rather than a run down and shabby one. His reasoning is as well that somewhere that catches the eye in a positive way is more likely to gain a higher profile in the community and as a result raise awareness of the plight of both the school and the children. So a design was produced – major thanks of course to Mr Bob Colman – who of course is my own dear husband ! and work got underway this week with a team of our workers. Probably the most important thing needed was a new and safer entrance. There is one pupil who attends the school who is in a wheelchair – and although there was a ramp it was way too steep and dangerous. 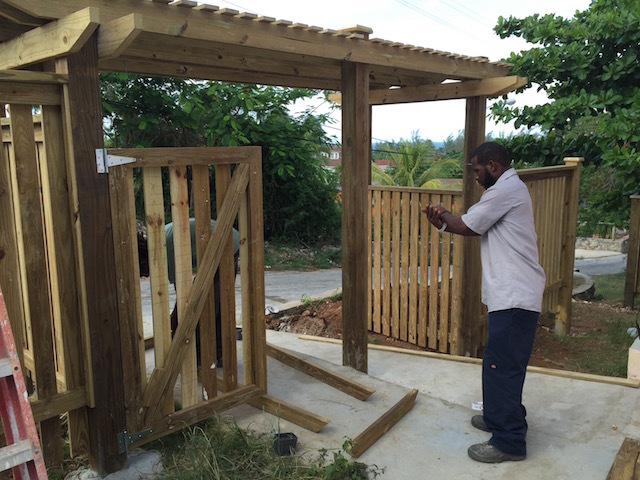 So the existing one was pulled out – along with the gate – and a much gentler one was constructed. 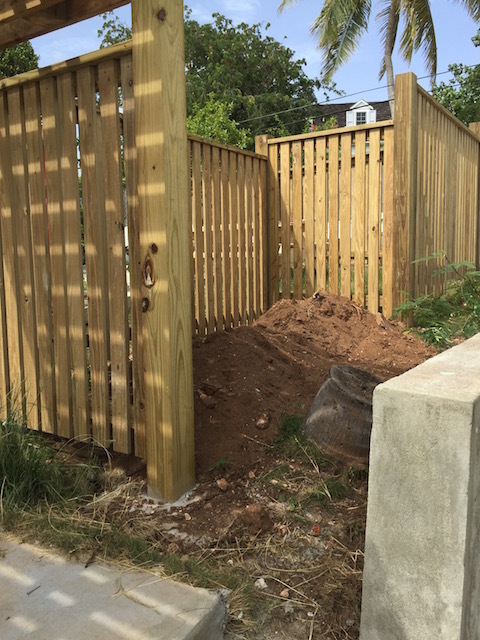 The chain link fence was taken down and is being replaced with wooden fencing. Local landscape designer and contractor Mr Doyle Sands was commissioned to produce an attractive planting plan again to soften and enhance the look outside and a new sign will shortly be produced. General smartening up of the whole exterior of the building is underway as well. More pictures to follow of course of the finished gussying up – it will be very pretty ! Huge thanks again to the very generous and thoughtful Mr Simon Hitchins who was visionary enough to realize the impact of our closest environments and how we are affected by them….. 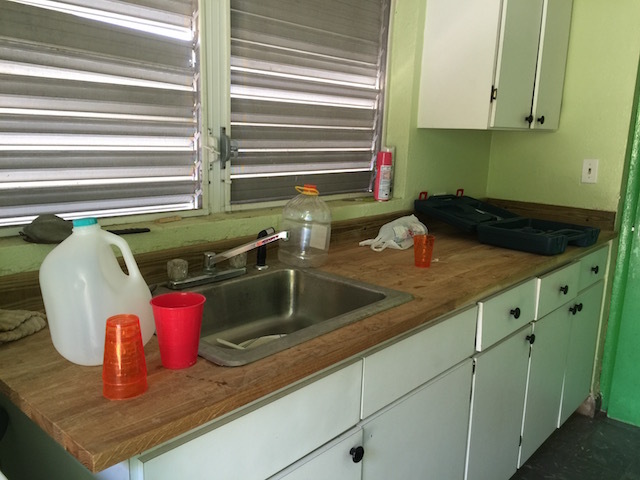 The new kitchen countertop – doesn’t look like one of my normal kitchens – right ???? 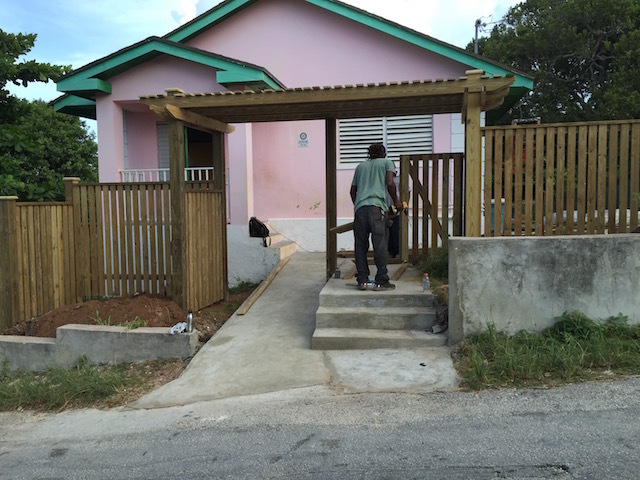 My sister is here in Eleuthera – yipppeeee ! This is wonderful and great contribution to the town and pupils and wonderful that you were able to put in a ramp too! Thank you to the team of workers who made it happen! Thank you so much – and so pleased you spoke with Chris ! Absolutely fabulous! Can’t wait to see the completed project. Thank you especially to Mr. Hutchins for a generous gift and one that helps everybody because it helps a younger generation. And of course thanks to Mr. and Mrs. Colman for exemplifying the best in humanity by giving back to a very special community. What a wonderful project! I was a school principal for 20 years, and it definitely takes a lot of grace and humor! I know that the students will be so proud of their updated school. Thank you for your comment – It has already got a lot of people talking about the school and anything that raises it’s profile is good news….. I really don’t know how you can have had the patience to be a principal for 20 years – I salute you ! I only teach the children 1 hour per week – yoga and meditation – so I see what it takes – a very special quality for doing it as long as you did …..